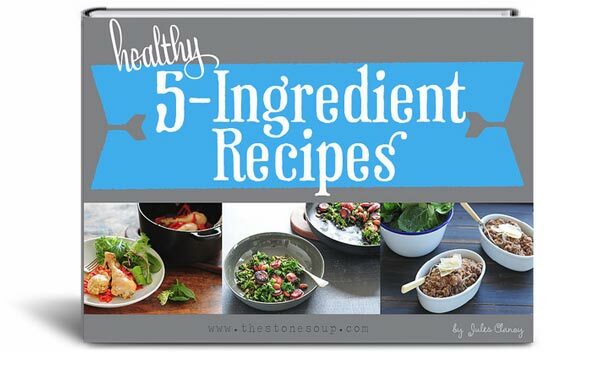 I’m super excited about this new cookbook! We just partnered up with Jules Clancy of stonesoup.com. Although Jules has a degree in food science she’s all about keeping it simple with fresh healthy meals. Jules has developed a fantastic meal plan system— she found that by keeping her ingredient list to around 5 items, she was able to get dinner on the table in as little as 10 minutes! PLEASE NOTE: You may need to right click on the download button and choose ‘save link as’.